Halloween Stein, Beer Mug , Father's Day Gift, Groom's Gift, Ceramic Stein, Large Pottery Mug On a hot summer night all you want is a cold beer . 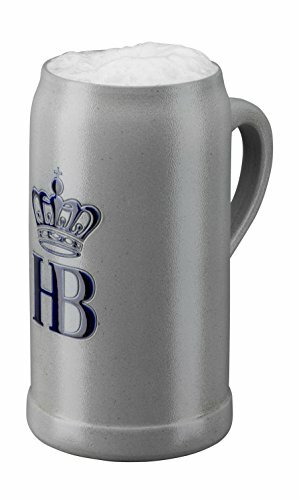 There is nothing better than enjoying a drink in a special and original Stein. 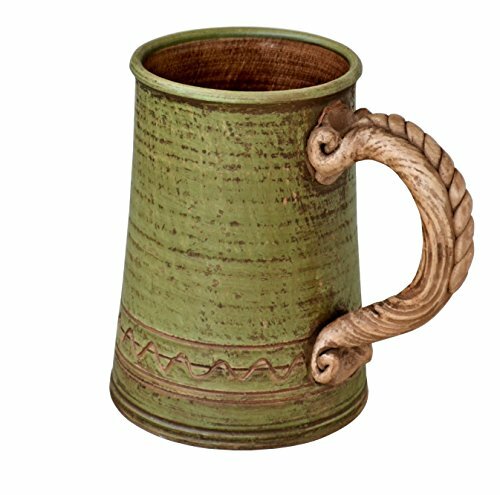 We've got just the Beer mug for you. 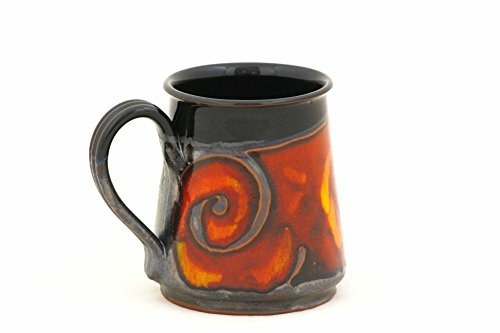 This Hand thrown and hand carved pottery Mug was all handmade and hand painted with food safe glazes and red clay. It has been twice fired in the Kiln and withstands cold and hot temperatures. Size Height - 12 cm / 4.7" Width - 11.5 cm/4.5" Capacity - 700 ml / 24oz As each piece is handmade the capacity can vary between 700-750ml or 24-25oz . 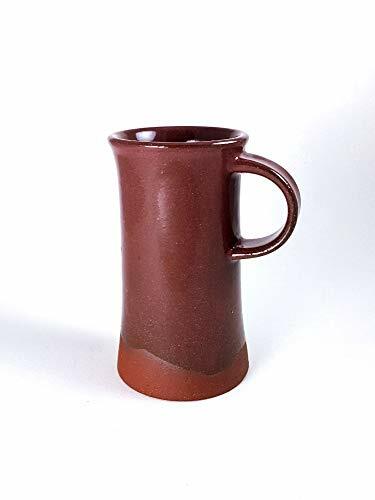 The Beer Mug is part of our Red&Black Collection and has beautiful light catching colors . It makes a wonderful gift for a Father, Brother , that Special man or simply a friend. It can also be used for sipping a cup of hot coffee & tea soup or delicious shake ! Anything that takes your fancy! 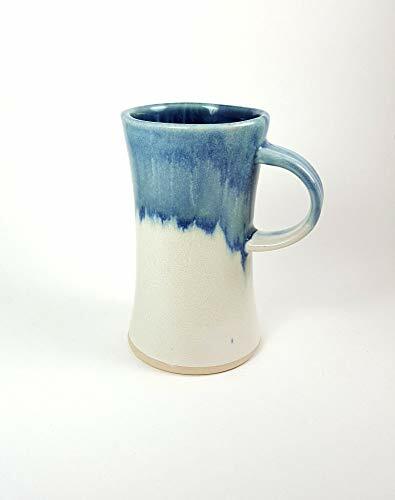 This hand-thrown, high fired, versatile mug is made of white stoneware covered in this stunning timeless storm blue and white glaze combo. Go ahead spoil yourself, or gift to someone you love. Approximate dimensions: 3" wide at rim (4.25" with handle) 6" high holds around 14oz with room for cream. 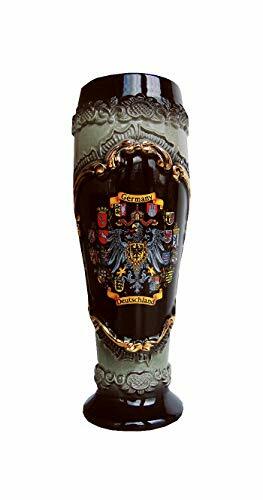 This beerstein is handmade in the Kannenbaeckerland, the German pottery and beerstein center. Made in Germany. 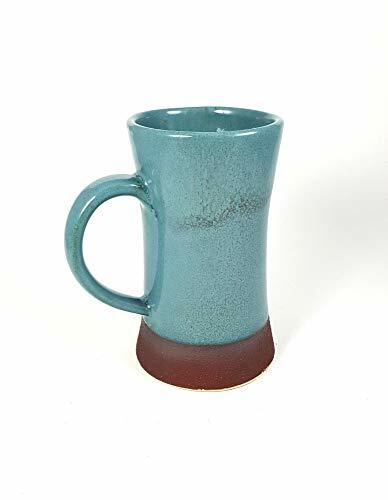 This unique mug is part of Light a Fire's new "Triassic" line of wares. 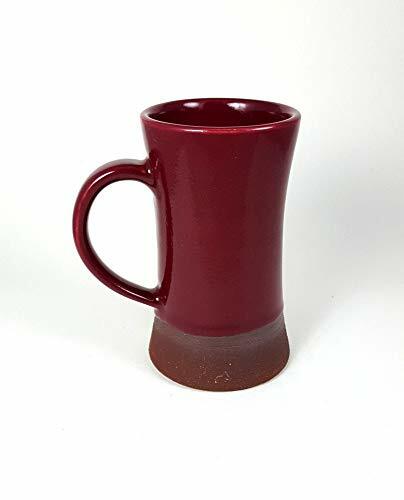 It is made of wheel thrown red stoneware coated with weeping plum glaze. The flat base is left un-glazed to reveal the rich color of local Colorado clay. Approximate dimensions: 3" wide at rim (4.25" with handle) 6" high holds around 14oz Dishwasher and microwave safe. 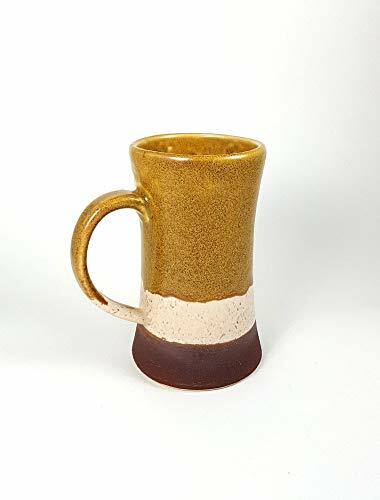 This hand-thrown, versatile mug is made of white stoneware covered in my new Ocher glaze with just a touch of Almond/Oatmeal and the bottom third is coated in locally sourced slip, to showcase the rich color of natural Colorado clay. Go ahead spoil yourself, or gift to someone you love. 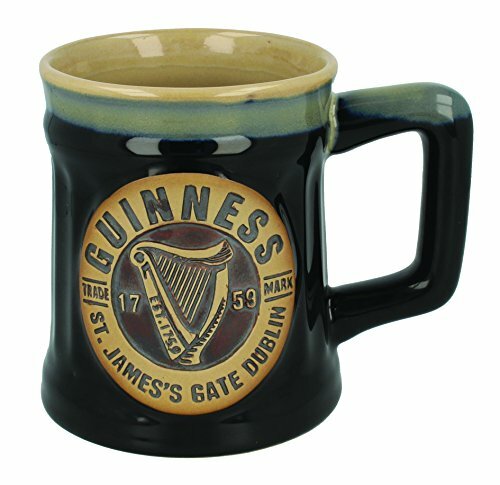 Approximate dimensions: 3" wide at rim (4.25" with handle) 6" high holds around 14oz with room for cream or head. Dishwasher and Microwave safe. Antique Viennese Beer Stein Type Pretzel Pottery Flask - Looks so real!